The week in 2008 Christendom celebrates the Prince of Peace’s entry into the city of peace, the world also observes the fifth anniversary of the start of a war that has cost an estimated one million lives and helped to send the global economy into possibly an irreparable tailspin. At least, if we’re to judge by the remarks of likely Republican presidential nominee John McCain, we could have just cruised into the sixth year of a 100-year war that was launched March 20, 2003 with the invasion of Iraq. For the former US Secretary of State, General Colin Powell, who made the case for war before the United Nations Security Council, his action has come back to haunt him. “It will always be a part of my record,” he was quoted as saying in September 2005, more than a year after he resigned as head of the State Department. “It was painful. It’s painful now,” he said. In February 2003, Powell had told the UN: “Numerous human sources tell us that the Iraqis are moving, not just documents and hard drives, but weapons of mass destruction (WMD) to keep them from being found by inspectors.” No WMD has been found to this anniversary. Last year Powell revealed that he had tried to dissuade President George W. Bush from intervening militarily in Iraq, a country which he now said was in a state of civil war. When the case for war was being championed by Bush, then British Prime Minister Tony Blair and Spanish Prime Minister Jose Maria Aznar, it was France, Russia and China that were resolute in opposing a military solution. Former French Foreign Minister Dominique de Villepin led his country’s opposition to the war, successfully blocking a second UN resolution proposed by the US and UK authorising the use of force. “The option of war might seem a priori to be the swiftest. But let us not forget that having won the war, one has to build peace,” he said in a speech to the UN Security Council on February 14, 2003, defending the diplomatic process. It is building the peace that now eludes the forces allied to ostensibly topple the ruthless dictator Sadam Hussein on the grounds that he possessed WMD, a proposition challenged by then UN chief weapons inspector Hans Blix, who asked in vain for more time to continue checking for weapons. Months after the bombing of Iraq began, Blix accused the US and the UK of organising the war well before the outcome of his work was known and of dramatising the threat of WMD to support their campaign. The war reflects a roller coaster relationship between the US and Iraq. As described by the National Security Archive, an independent non-governmental research institute and library located at the George Washington University (National Security Archive Electronic Briefing Book No. 82, edited by Middle East Analyst Joyce Battle, February 25, 2003) at the time of the Iran Iraq war in 1982, “the US, having decided that an Iranian victory would not serve its interests, began supporting Iraq: measures already underway to upgrade US-Iraq relations were accelerated, high-level officials exchanged visits, and in February 1982 the State Department removed Iraq from its list of states supporting international terrorism. (It had been included several years earlier because of ties with several Palestinian nationalist groups, not Islamicists (sic) sharing the worldview of al-Qaeda…). Soon after that Donald Rumsfeld, acting as a special envoy of Reagan, met Saddam, “and the two discussed regional issues of mutual interest, shared enmity toward Iran and Syria, and the U.S.’s efforts to find alternative routes to transport Iraq’s oil; its facilities in the Persian Gulf had been shut down by Iran, and Iran’s ally, Syria, had cut off a pipeline that transported Iraqi oil through its territory,” Battle reported. The U.S. restored formal relations with Iraq in November 1984, even after confirmation that Saddam had used chemical weapons against Iran and the Kurdish population. Relations took a u-turn in 1990 when Saddam invaded Kuwait, which Iraq has claimed to be part of its territory. Some analysts contend that after the Iraqi invasion of Kuwait on the grounds that the emirate was destabilizing Iraq’s economy by overproduction of oil, the decision by the US and its allies to fight the Iraqi invasion had more to do with preventing an attack on Saudi Arabia, a nation of far more economic importance to the world than Kuwait, as it did with liberating Kuwait itself. Iraq was devastated by the well-supported 1991 US-led Operation Desert Storm to free Kuwait and was subsequently kept in check by a strict policy of trade and military restrictions overseen by principally by the US under UN jurisdiction. It is reported that the Republican Party’s campaign platform in the 2000 election called for “full implementation” of the October 1998 Act and removal of Saddam Hussein. With the September 11, 2001 Al Qaeda atrocities on the World Trade Center in New York City and the subsequent US retaliation against Afghanistan’s Taliban regime, Bush began articulating a policy of a global War on terror, formally opening his case to the international community for an invasion of Iraq in his September 12, 2002 address to the U.N. Security Council. The Council after much debate adopted a compromise resolution, 1441, which authorized the resumption of weapons inspections and promised “serious consequences” for noncompliance. It was this resolution, over the objection of Council members China, France and Russia that the US used to justify the present war. Former Secretary General Kofi Annan vainly appealed for compromise and unity in the UN Security Council as France, China and Russia threatened to veto a US-backed resolution authorising force against Iraq, but could not stop the US and its allies’ decision to go to war without a second resolution. “I have indicated it was not in conformity with the UN charter from our point of view – from the charter point of view – it was illegal,” he told the BBC in 2004. Apart from deposing Saddam and his bloody Baathist party, several of whom were hanged after genocide trials by the new regime, the toll of war has been enormous although U.S. and UK forces managed to topple the government and capture the key cities in only 21 days. 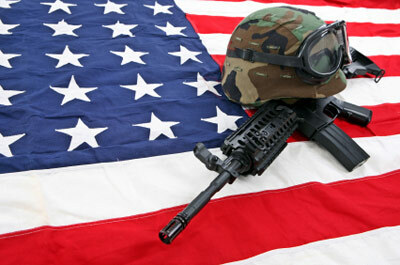 Up to March 14, there were 3,988, US armed forces deaths and 29,314 wounded with 145 suicides. An estimated 89,710 Iraqi civilian non-combatants have been killed either by allied action, inter-tribal and sectarian violence or that of forces such as Al Qaeda, fanning anti-Western agendas. Johns Hopkins University’s Lancet survey estimates that at October 2006, over 650,000 Iraqi civilians had died as a result of the conflict, with the vast majority of these deaths occurring after May 2003 when the US declared official hostilities ended. Other estimates put the figure at more than a million. The week ending March 9, 384 civilians were killed or found dead, according to Iraq Body Count, which tracks Iraqi civilian deaths. More than 4.2 million Iraqis, more than 16 per cent of the Iraqi population, is reported to have lost their homes and become refugees since 2003. The average price of a barrel of oil, US$23.39 in 2001, was $28.42 in 2003. Today, primed by the Iraq war (hostilities were officially declared over May 2003), instability in Nigeria and aggressive rhetoric by such as Venezuela’s President Hugo Chavez, demand by industrialization in China and India, and Wall Street speculation, oil is at the $110 per barrel mark. The war has sucked up the credit which had been driving US and global consumption (an August 2007 analysis by the nonpartisan Congressional Budget Office, is that the war in Afghanistan and Iraq to that time had cost $1 trillion, 70 percent allocated for Iraq), leaving the US financial sector in disarray with its attendant disruptive overflow into dependent economies such as those in the Caribbean with their heavy reliance on tourism coupled with huge fuel and food import bills. Britain and France have survived their 100 Years War of 116 years from 1337 to 1453 but the USA could be committing hari-kari, withering itself away in machismo in an age of divestiture of state instruments such as the military and loss of control of the finances of its economy even as the heavily bureaucratic communist state controlled economy of China grows. It’s a paradox that would leave Karl Marx scratching his beard, his theory of the communist state turned upside down as the bedrock of capitalism becomes an agglomeration of financial interests. Today, polls in the US and in countries around the world show this to be an unpopular war which has not made the world any safer, despite claims to the contrary by the Bush administration. “No nation can make itself secure by seeking supremacy over others,” Anan declared in his final speech as UN head, in late 2006. Those of us who support the American ideals of democracy and liberty are finding it is merely that – an ideal, as far away from being reality as the socialist one for fraternity and equality. In this Holy Week, the least we can do is pray for “Peace, Holy Peace” in the hope of heading off another 100-year War.